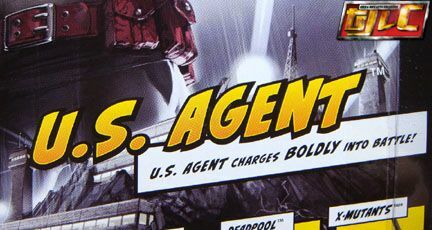 I can’t say I remember US Agent using guns..? 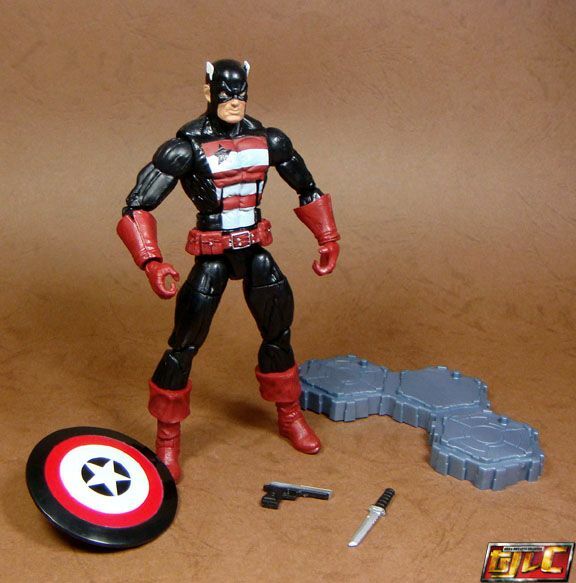 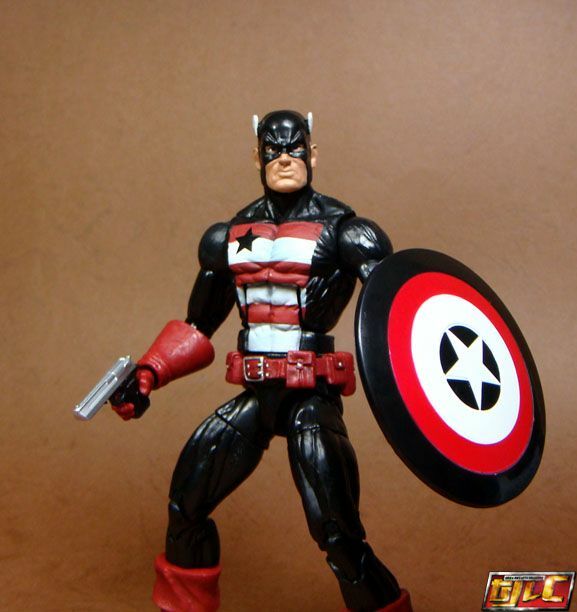 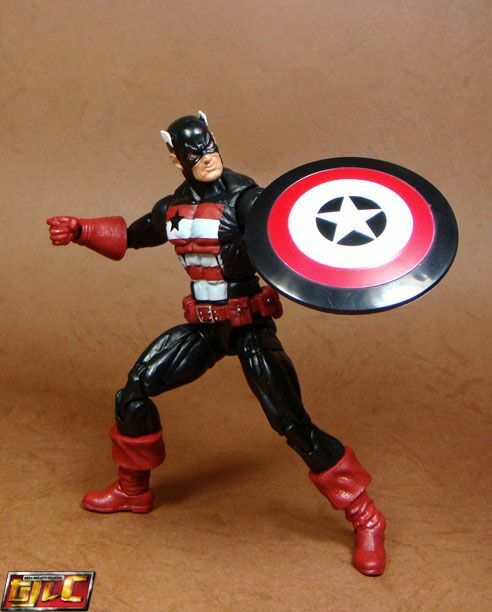 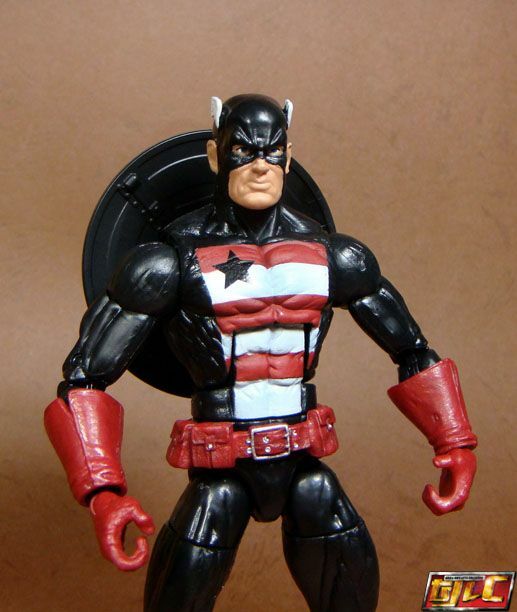 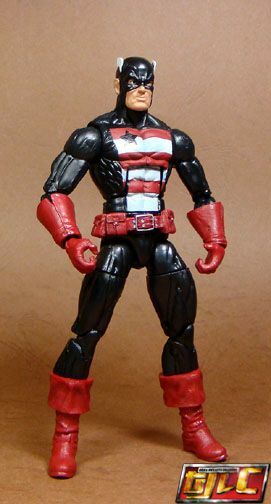 Uses some parts from Bucky Cap. 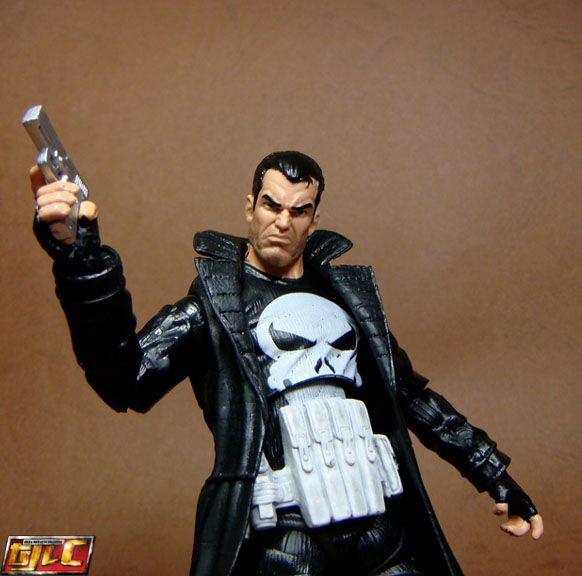 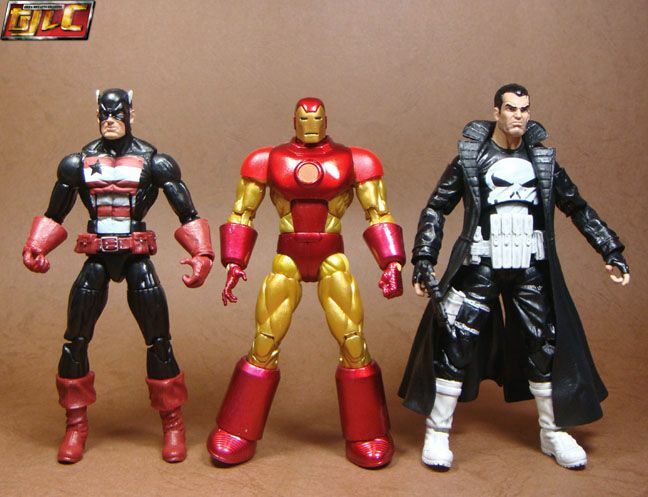 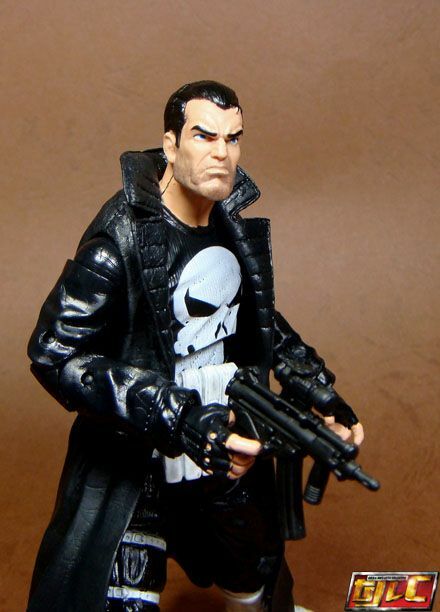 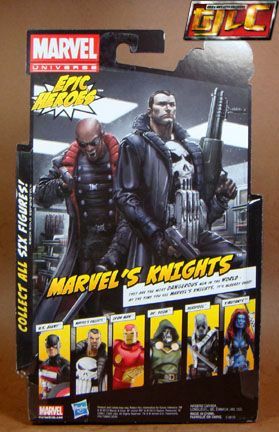 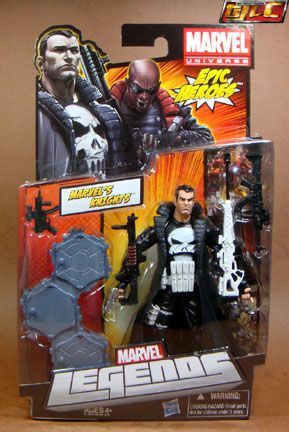 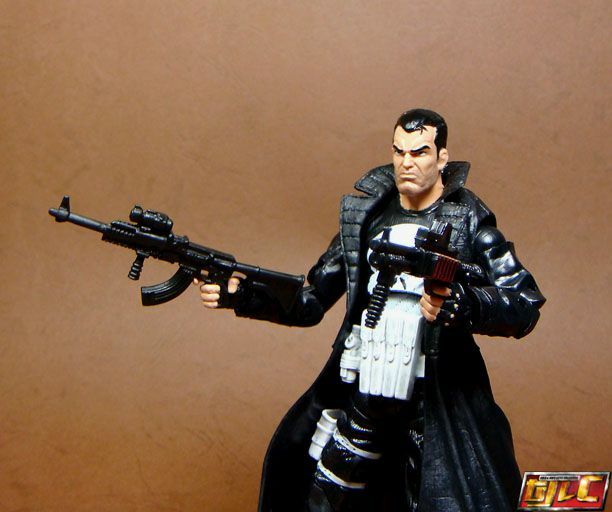 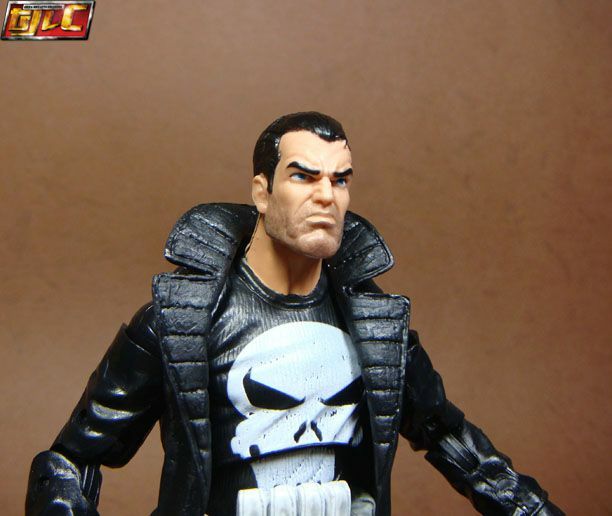 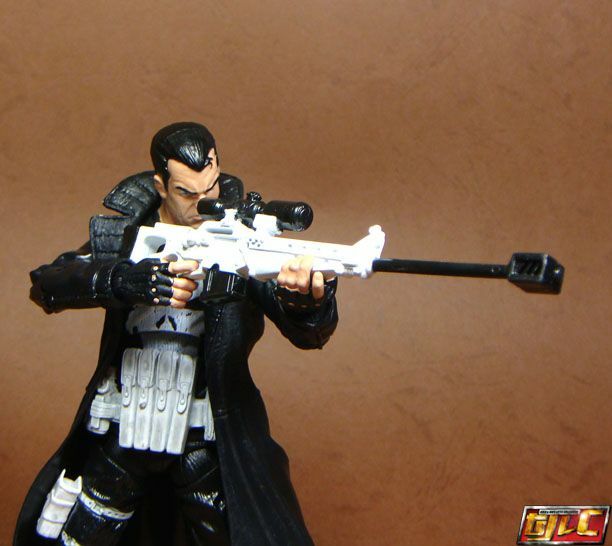 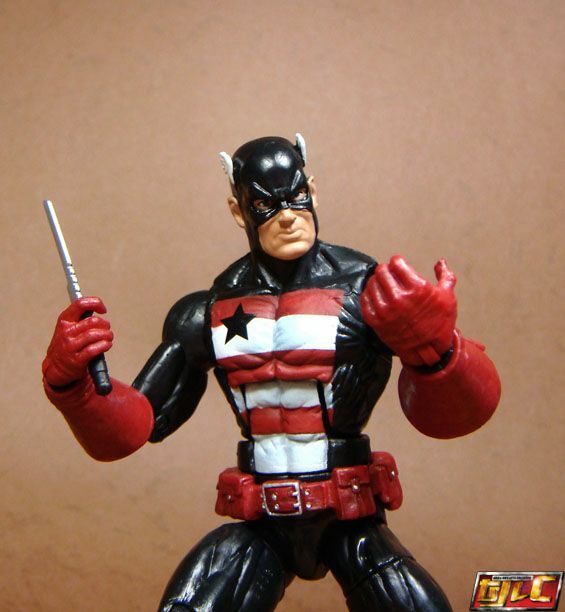 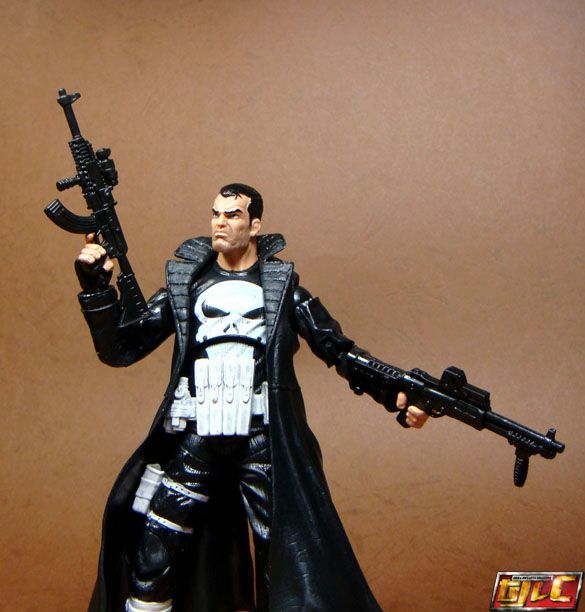 I think this may be my favorite 6” take on Punisher yet. 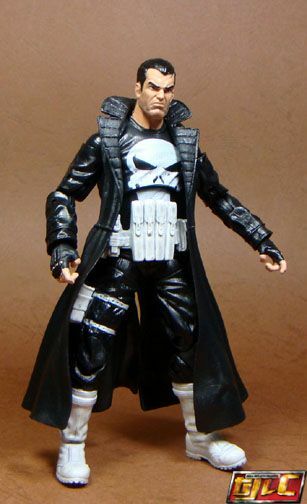 Only problem is, the horrible paint for the skull logo on his shirt. 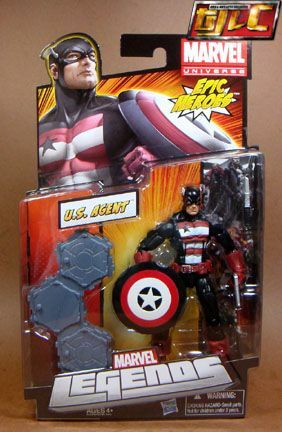 Or is that intentional? 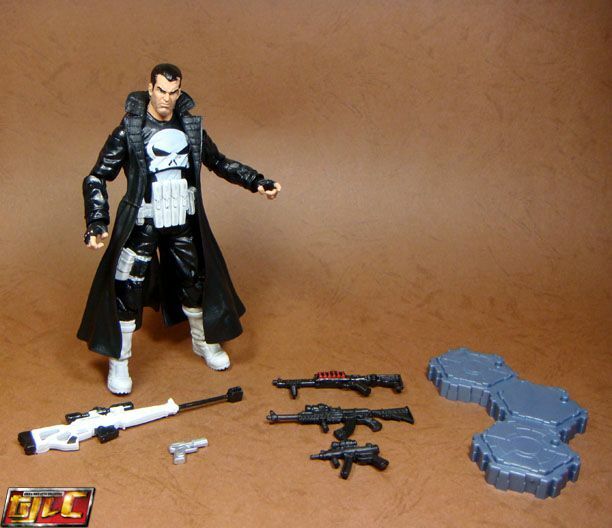 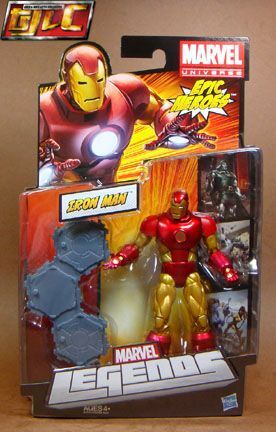 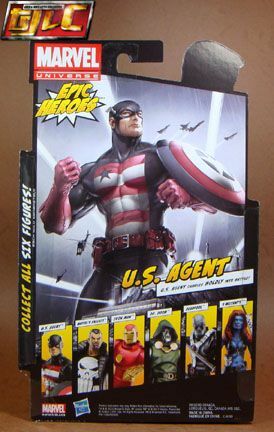 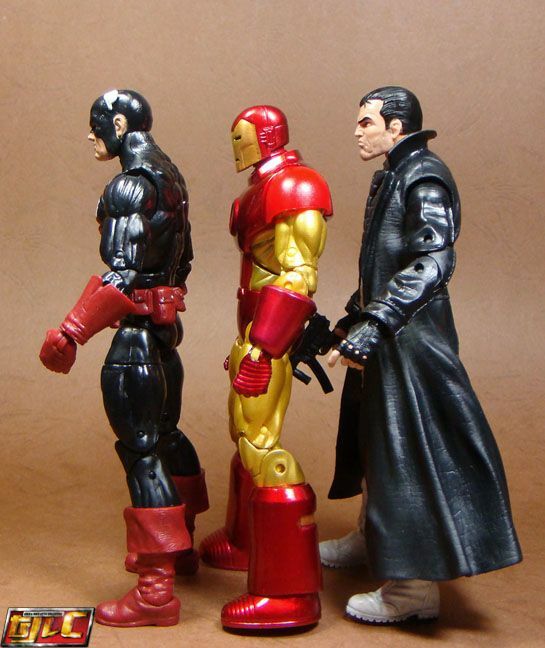 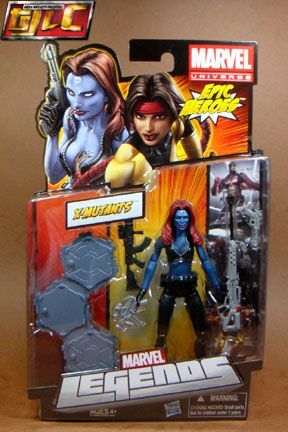 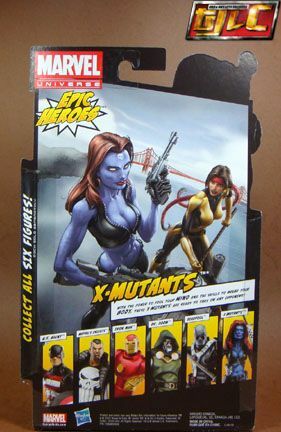 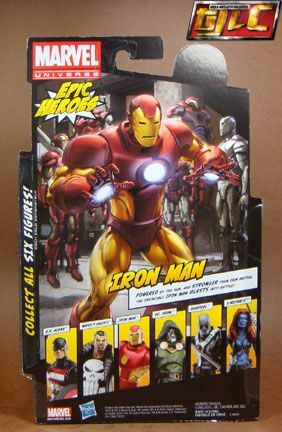 The figure reuses the old Ultimates Nick Fury body from the 2pack. 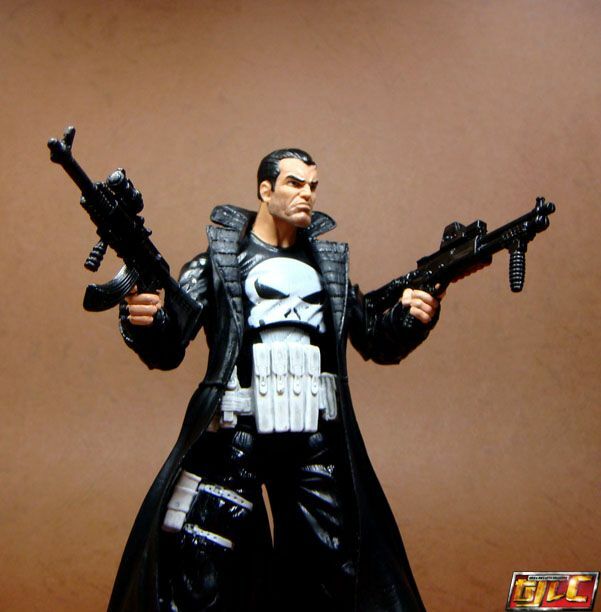 Ol’ Frank comes with a whole lot of guns!! 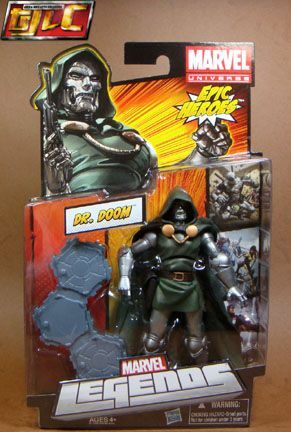 I think he’s my personal favorite in the wave. 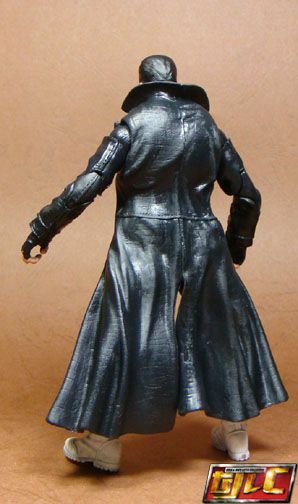 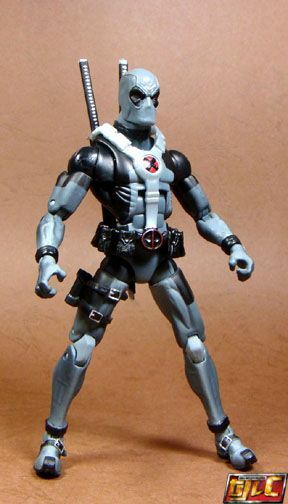 His lack of accessories also makes the figure even less appealing. 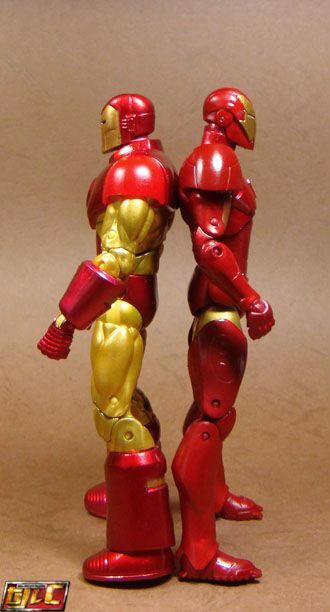 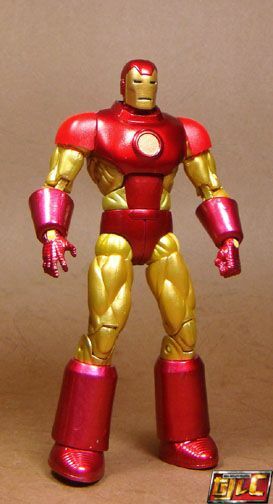 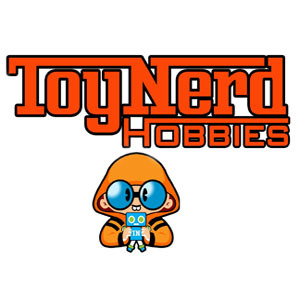 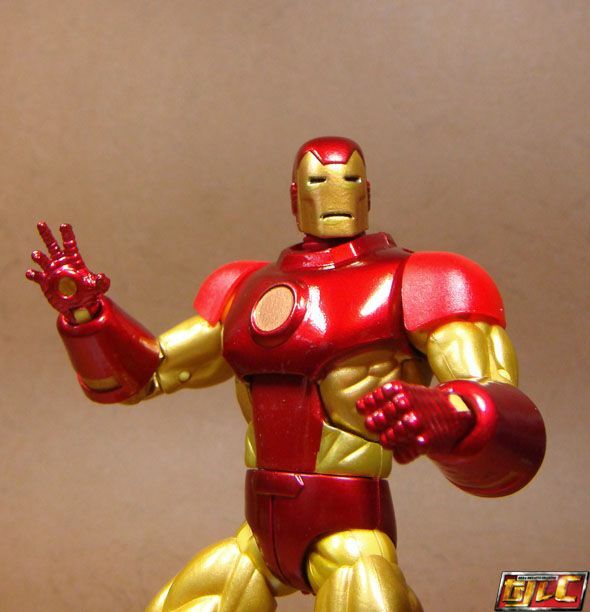 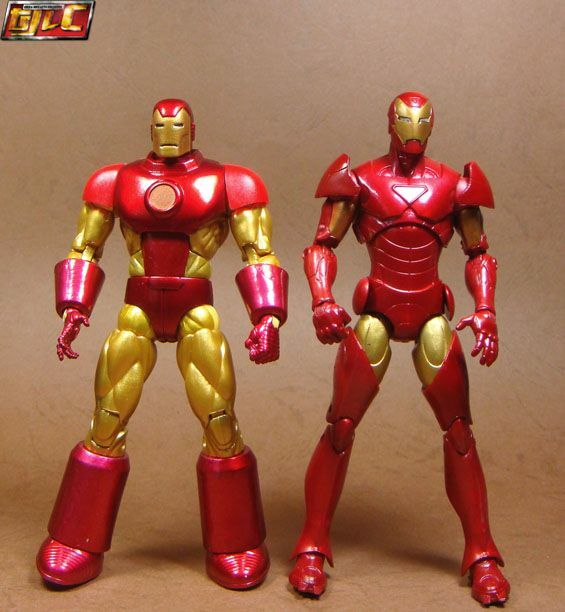 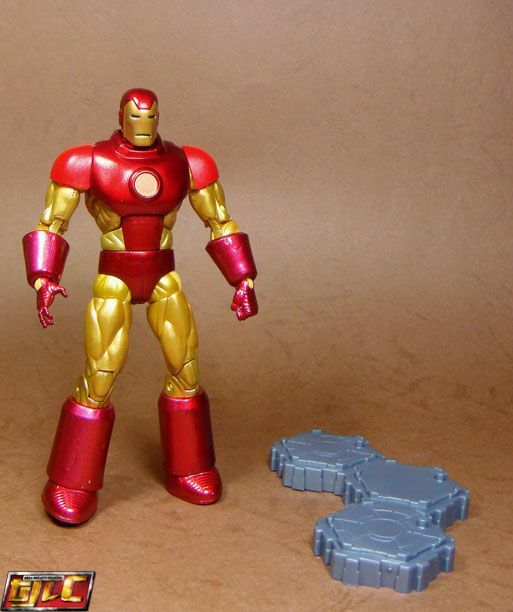 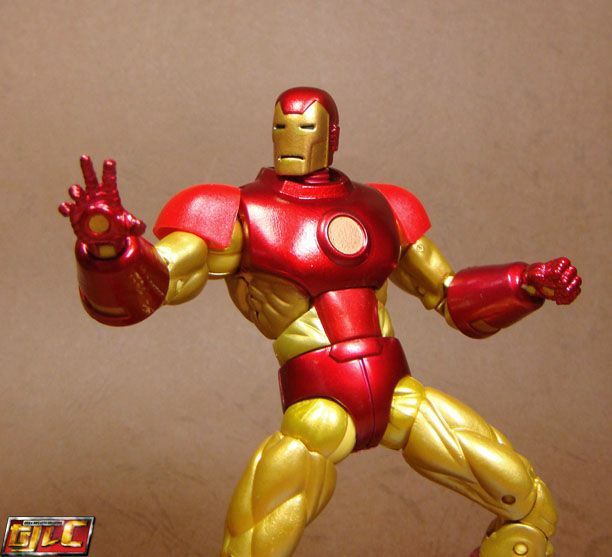 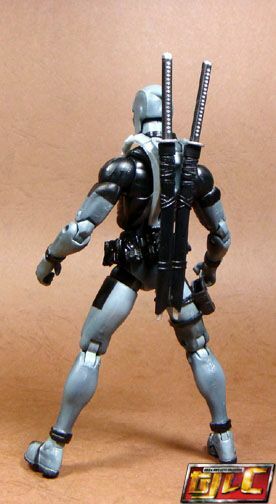 The leg design also limits ankle articulation. 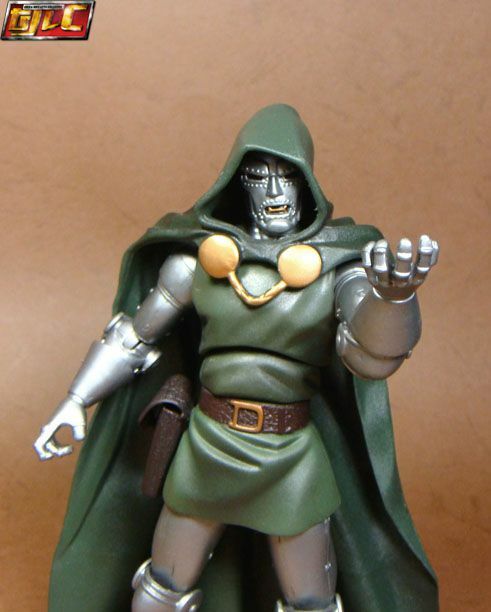 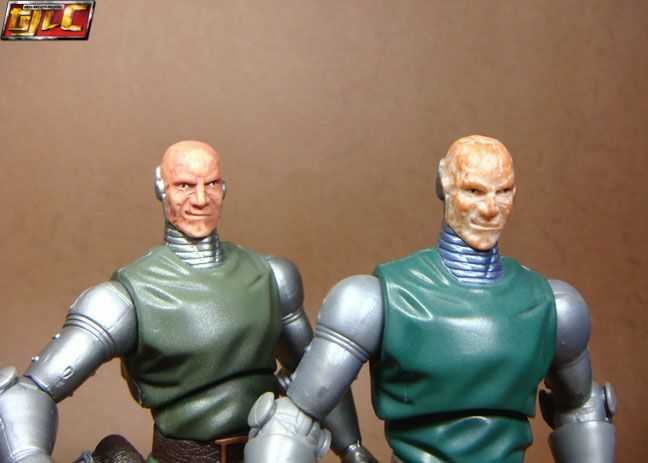 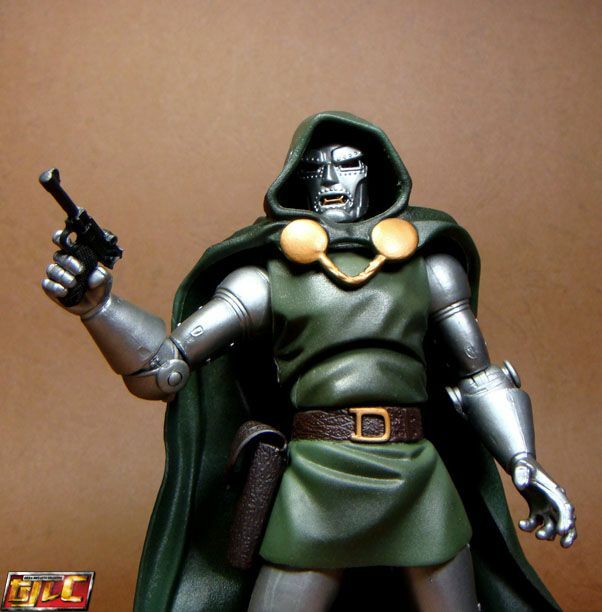 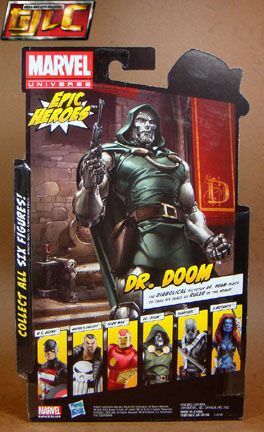 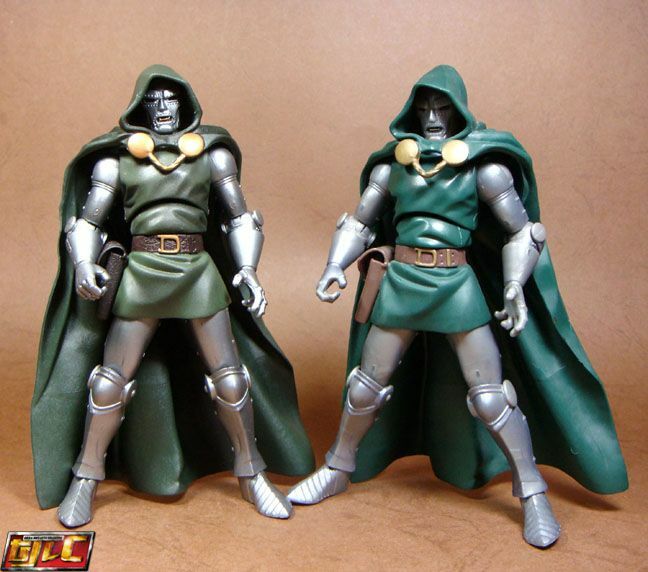 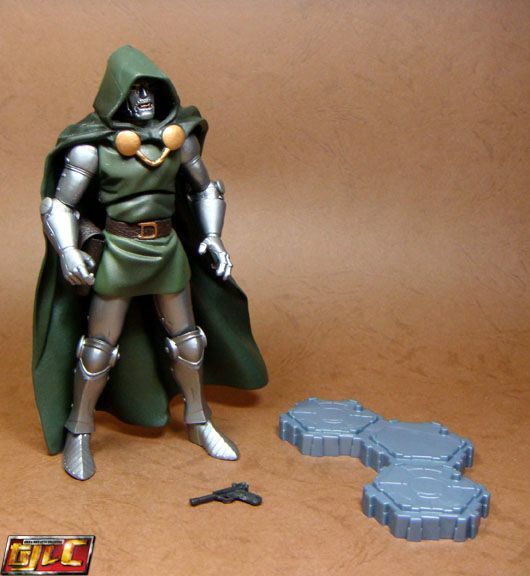 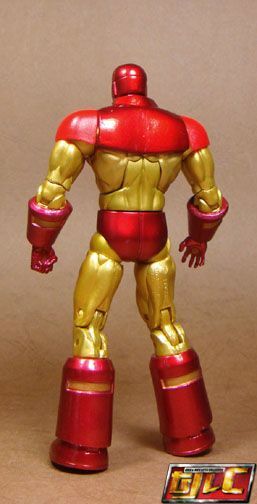 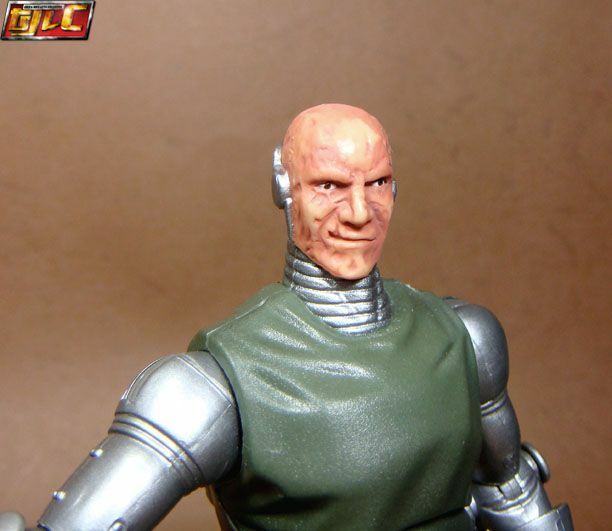 Doom is a straight up repaint of the old Doom from the Fantastic Four Classics Ronan wave. 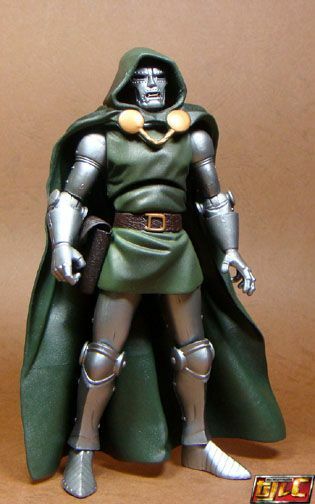 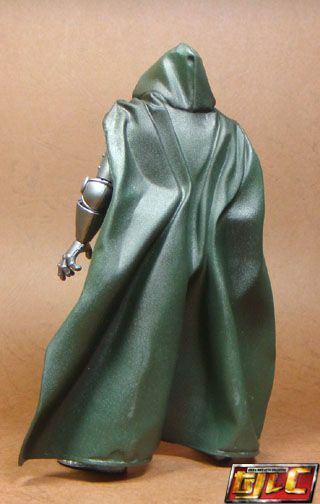 I prefer the colors on this Doc Doom better than the old one. 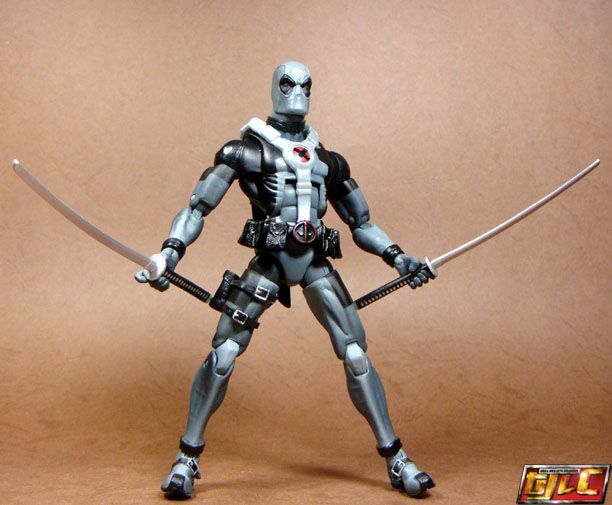 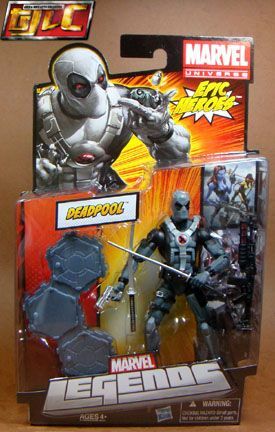 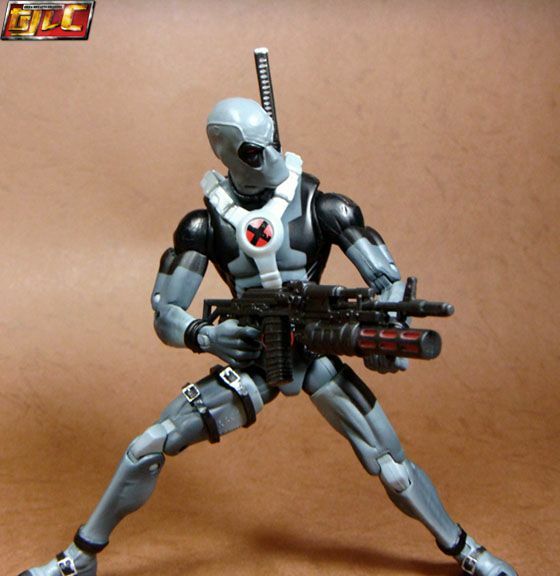 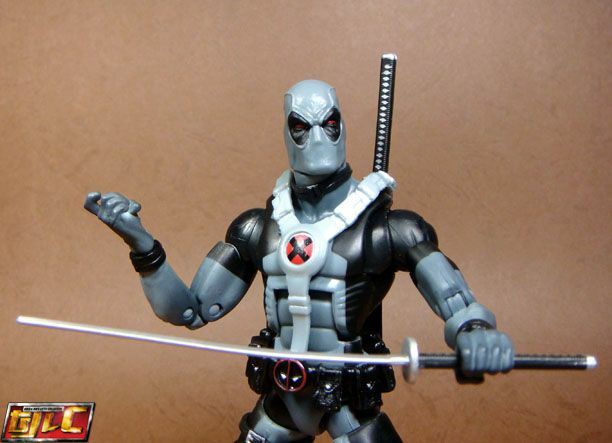 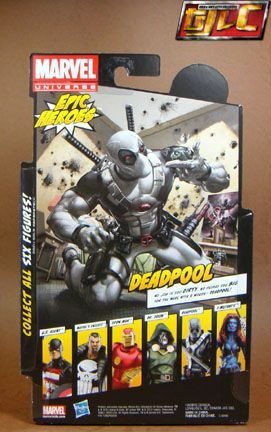 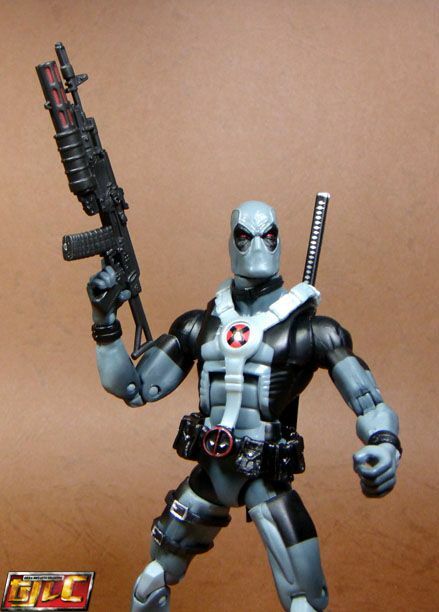 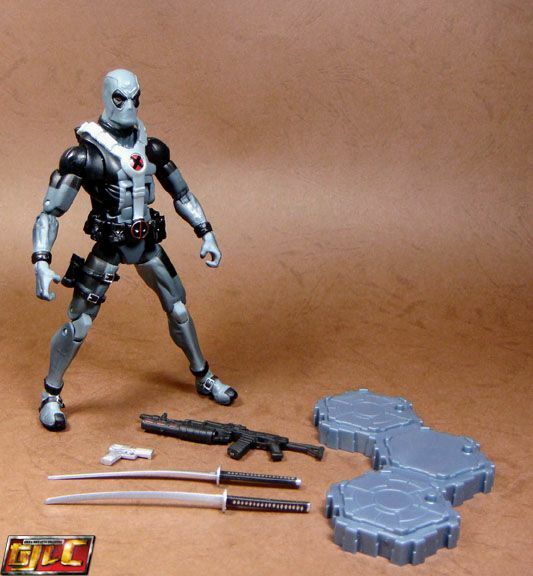 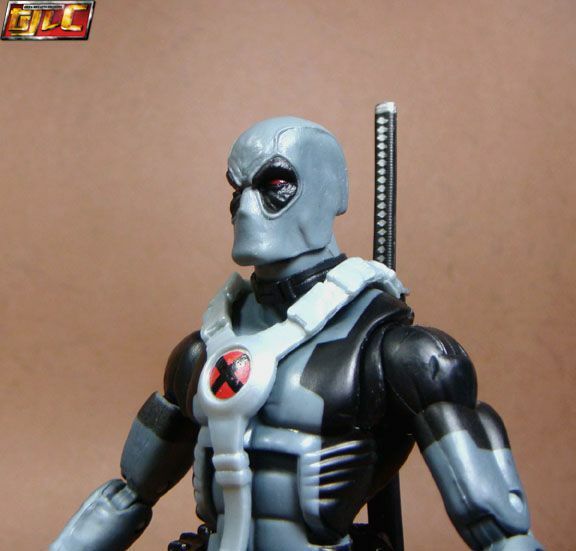 Like Doom, deadpool is a straight up repaint of the old DP from the 2pack with Warpath. 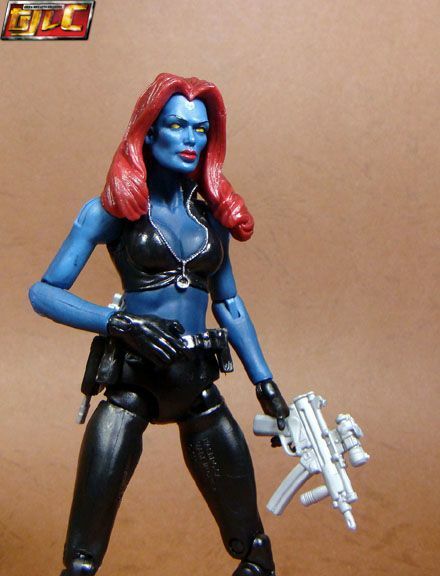 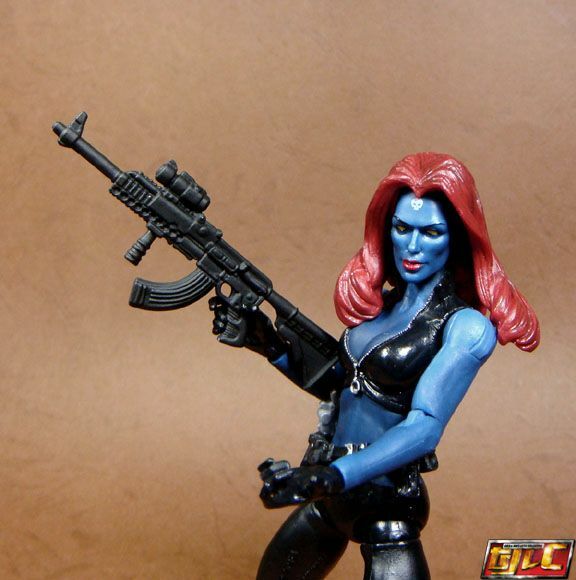 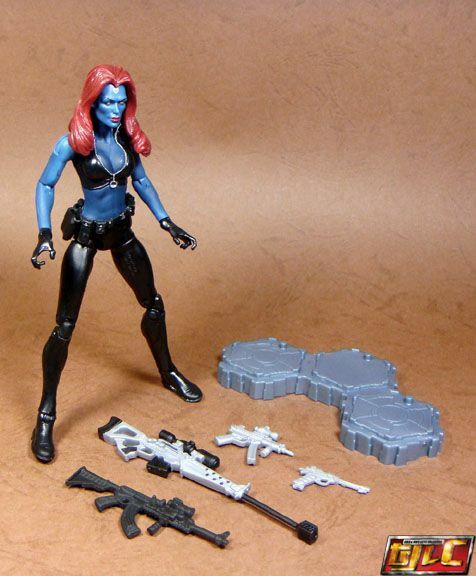 Like Punisher, she comes with almost the same guns. 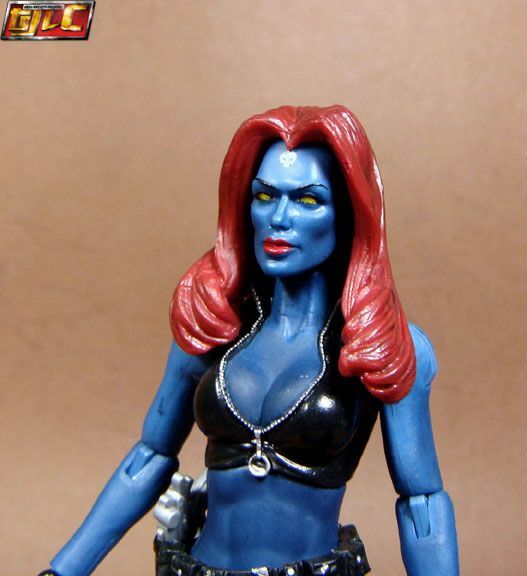 For some reason, her headsculpt reminds me of Jaclyn Smith from Charlie’s Angels. 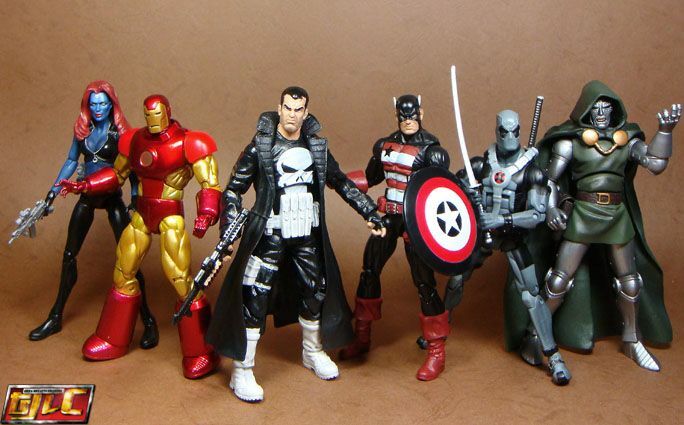 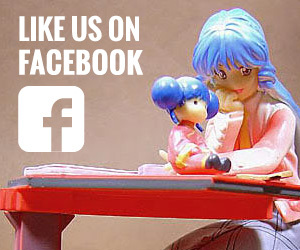 No Build a Figure for this wave of recycled figures. 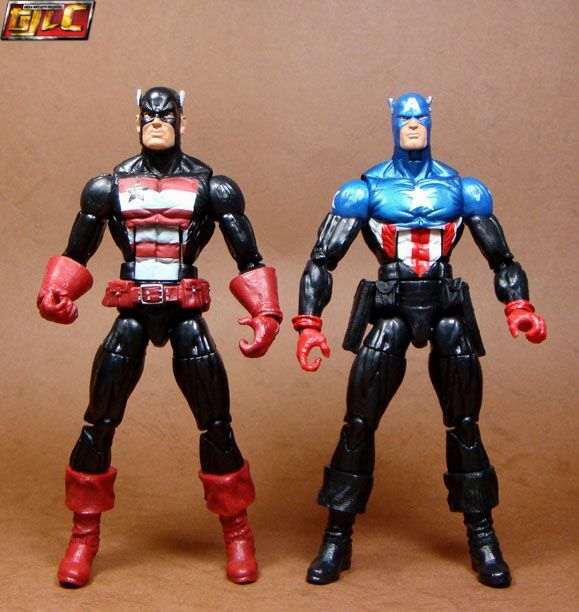 Definitely not a good thing for a “revitalized” line.. On the upside, they have improved the sculpts from the old Blob days. 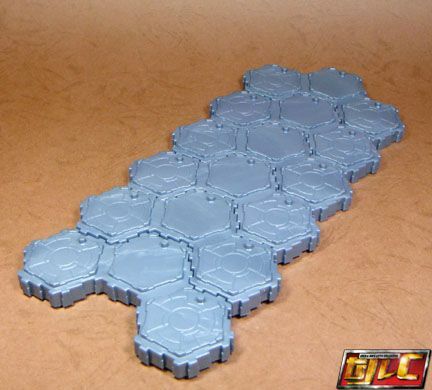 The interlocking bases are somewhat decent but I really would’ve preferred something along the lines of MU or GiJoe stands instead of these fugly ones.